Salon of the Springs Services, Pricing - DVCNews.com - The essential Disney Vacation Club resource! Disney's Wilderness Lodge has a new salon and spa. Here is what guests can expect to find available at this location. Salon of the Springs has taken over the former Trout Pass Bar at Disney's Wilderness Lodge. While the location does not provide the wide variety of services offered at the Senses brand spas at Disney's Saratoga Springs Resort or Disney's Grand Floridian Resort, guests will find some options available without having to venture too far. Salon of the Springs offers most hair, nail and makeup services from the menu below. Massage services, skin care treatments and other options are not performed at this location. Included here are copies of the current spa services brochure. 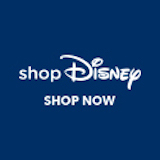 Additional pricing and service information can be found at the Disney Spa Services website. Discounts of 10-15% off the normal price of some services is offered to Disney Vacation Club members, though guests should confirm availability when making reservations. All prices are subject to change.